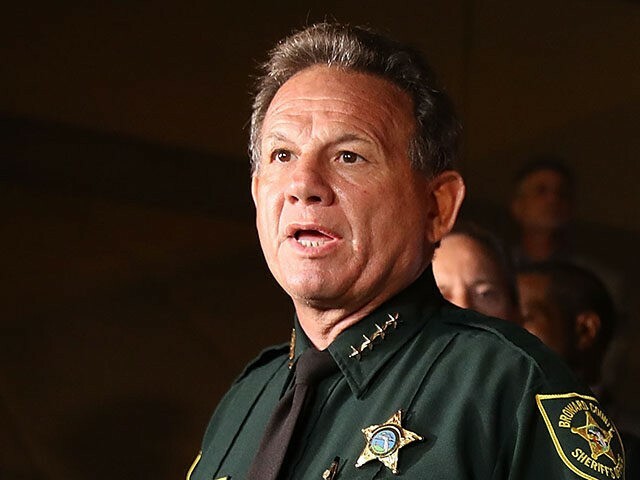 Broward Sheriff Scott Israel should “absolutely” resign, said Conservative Review’s Michelle Malkin on Friday’s edition of SiriusXM’s Breitbart News Tonight in an interview with Breitbart News Senior Editor-at-Large Rebecca Mansour. Last week’s mass shooting at Marjory Stoneman Douglas High School in Parkland, FL, was a function of failures among local authorities, including law enforcement, school administrators, and a psychiatric health facility, said Malkin. Israel is a “feckless sheriff,” said Malkin, noting that he took no responsibility for failures during last week’s CNN town hall forum to discuss gun policy. It’s disgusting. The CYA campaign that [Scott Israel] has been waging all day long. First, by releasing the log of all the phone calls, and the details, it’s astonishing how specific and credible each and every one of these phone calls was, and you see the very specific threats that Nikolas Cruz had leveled — not only repeatedly against his classmates and the school — but also details about how he had held a gun up to his mom’s head. 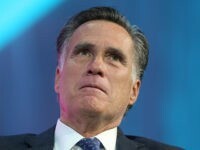 When you combine that with the transcripts that the fishwrap of record — from when they did something useful — the transcript of the FBI tipster from January that Nikolas Cruz had been imbibing gasoline, that he had cut himself numerous times, that he was rubbing his hands in glee thinking of the inheritance that he was going to get as a result of his adopted father dying. Honestly, it makes me really question the circumstances of his mother’s death and given how incompetent the local law enforcement was, I wouldn’t be surprised if they open a new investigation into the pile of other open investigations they have now. Just tonight, the Broward County sheriff’s Twitter account was doing more CYA, covering themselves, by retweeting a statement from the Coral Springs Police Department from which we got all of the information about the other sheriff’s deputies besides Scott Peterson who had just stood there doing nothing. On Thursday, Broward Sheriff claimed to have received 23 calls for service at Cruz’s family’s home, disputing the claim of 39 incidents originally reported by CNN. Malkin speculated that the Baker Act — a Florida state law allowing for involuntary institutionalization and medical examination of a person — could have been used to institutionalize and examine Cruz prior to his commission of mass murder. Such an institutionalized would have been on a firearm purchase background check, preventing Cruz for legally purchasing firearms. Henderson Behavioral Health, a mental health facility in Florida, examined Cruz in 2016and opted against hospitalizing him. “I believe that would have counted as the kind of adjudication… that Nikolas Cruz would’ve had to report on his background check,” said Malkin. Cruz’s 17-year-old brother Zachary was involuntarily committed to a psychiatric facility — via the Baker Act — two days after the mass shooting last week, noted Mansour. Now I have a prediction. I believe that once these parents fully appreciate how it was all of their local failings of the school administrators, the Broward County sheriff, this feckless sheriff, where the fish apparently rotted from the head down at the sheriff’s office. After the afterglow of CNN dies down, these parents are going to be filing multimillion dollar lawsuits for the people that are truly responsible for the massacre there.